Wow, these past two days have been like nothing I have ever seen. Classes have been cancelled for two days which is unbelievable. The trees are covered in icicles and the ground is an ice skating rink. I've been spending it the way any college kid would, lounging around with friends watching movies, eating pizza and sliding on the icy hills. This coat is from 3 years ago, and I've been cherishing and preserving it since then. It's so warm, and makes any bland winter outfit stand out. Plus, tartan is back this year, so the preservation was definitely worth it. PS- These trees are covered in ICE not snow. 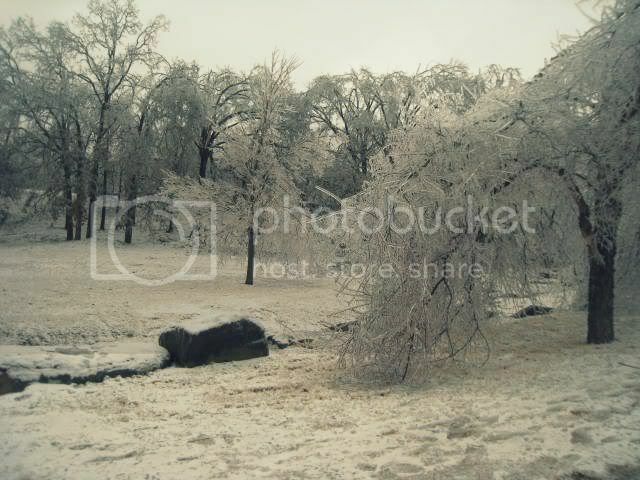 The last photo is a tree weighed down by ice. I can't imagine how sad it is going to be when the ice melts and the trees are dead. For now I'll enjoy the beauty. i love this outfit, especially the hat - it's so cute!! what gorgeous photos!! they are amazing + you look absolutely gorgeous! 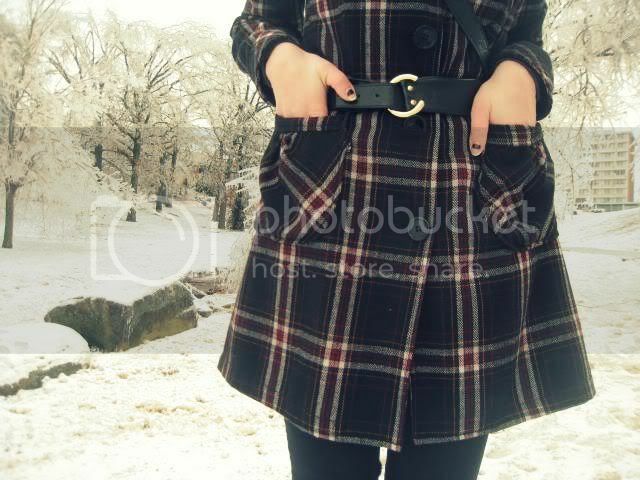 Amazing photos...you look so good against all the snow! That red lipstick is such a good call. Aw, thanks for saying those nice things about my blog- gotta say you look awesome in all your pics. So many places to go in London (esp all the markets! )...you definitely need to save save save! Yay for mustard beanies! Love it all! I love your style, so inspirational and perfect! love ittttt, especially the bag. i wish i looked that good when it's freezing outside! Glorious pictures. It looks really beautiful there, but also quite cold! Your outfit is lovely. The coat and hats are tops! you look stunning in that yellow hat! The ice is so gorgeous! I love your hat against all the white. Enjoy your snow days! These photos are stunning, I love your coat, such a classic but fun style, and the shade of your lipstick. 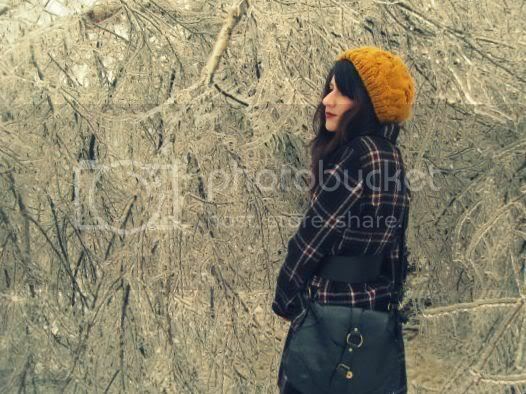 Nice photos, nice hat and lovely coat!! this pictures are absolutely stunning! These pictures are stunning. I like your outfit as well, very nice colours and it suits you really well! The lipstick is beautiful, as are the photos. The trees really pretty.And your coat i really pretty. gorgeous, gorgeous, photos. i love the mustard yellow beanie! Beautiful. Everything is so lovely - the scenery is magical, and you stand out in the middle of all the white in those pretty colours. Your coat is so, so pretty. That forth picture is absolutely stunning. I followed you on Chictopia for awhile -- you've always had great style! wanna trade links for the blog roll? wow. i think you live in the most beautiful place in the world.. wow!! 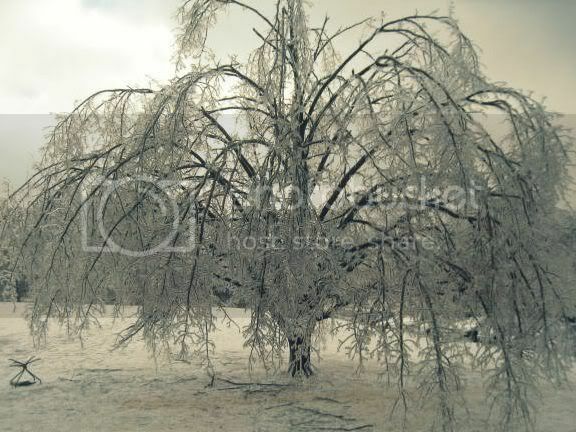 !i've never seen trees covered in ice...in snow yes, they look amazing, but in ice they are like from a fairytale.